The powerful first images in the new Spring 2019 catalogue include models posed in front of a 2000 year old olive tree in Greece. Reflecting such an ancient entity in eco friendly textiles, speaks to me on a much higher level. I personally love when nature directly influences textiles, especially when both the print inspiration and the fiber and dye content are completely eco-friendly. 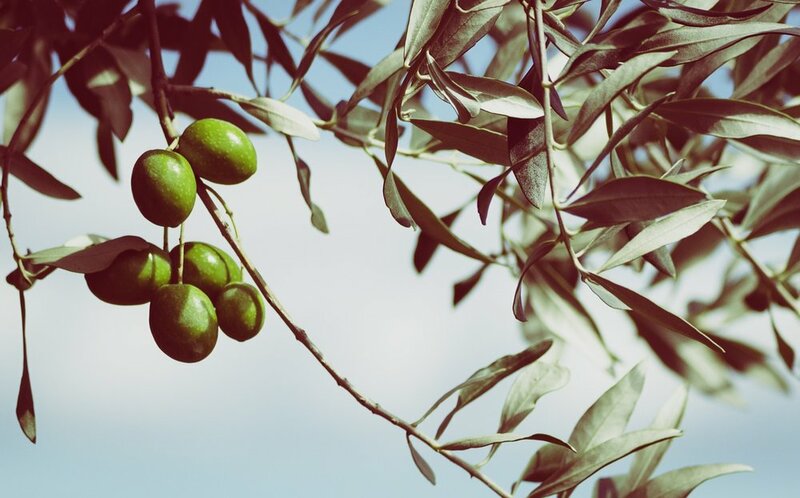 Though I am constantly in awe of Gudrun’s “Green Inspiration”, pairing the olives and the lemons strikes us Gudrun girls with visuals of long summer days eating aromatic Mediterranean salads. It is especially comforting to experience these visuals, while the temperature steadily drops below zero here in Minnesota. The sunny visuals really give us hope and inspiration in the depths of winter. While the olives and lemons are both beautifully printed or knit, it is of equal importance to me to know and understand the fiber content and how it impacts our environment. The tunics, for instance, are knit with an eco cotton and lyocell blend. Lyocell is an interesting fiber made of the cellulose in wood pulp. It is an economical fiber in both its use of energy and natural resources. It has a completely green process in which all solvents and emissions used to create the fiber are 100% biodegradable. Not only is Lyocell completely biodegradable, it is also durable, moisture absorbent, antibacterial, extremely soft, and great for sensitive skin. On the other hand, Viscose, Rayon, and Modal all use caustic soda to dissolve plants into pulp for fiber, while Lyocell uses an organic compound that is completely non-toxic. This was a sneak preview into Gudrun’s 2019 Spring catalogue which will be available to subscribers soon! This blog is focused on the inspiration and fashion of Swedish designer Gudrun Sjödén and the eco-textile processes behind her work.